Providing a strong administrative and secretarial role within the Rural Department, Sarah assists in the daily needs of the Rural Professional team. She is particularly competent in producing sales particulars, reports and valuations. 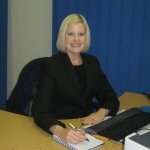 Sarah is kept busy assisting with promotional work and managing the website. She is also P.A to John Amos and is tasked with keeping John in order!